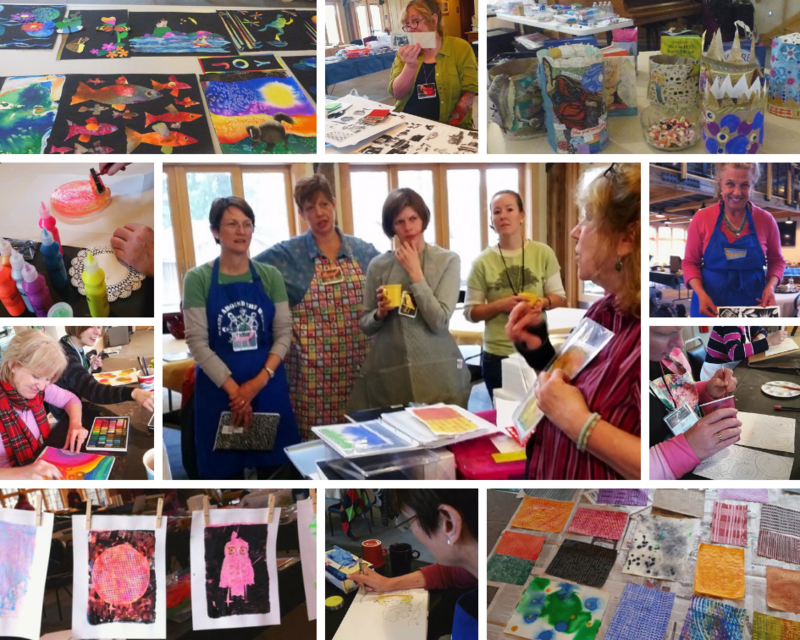 Every year, the amazing author/illustrators Ashley Wolff and Denise Fleming lead a creative retreat called Color, Light, Line & Texture: A Hands-On Workshop. 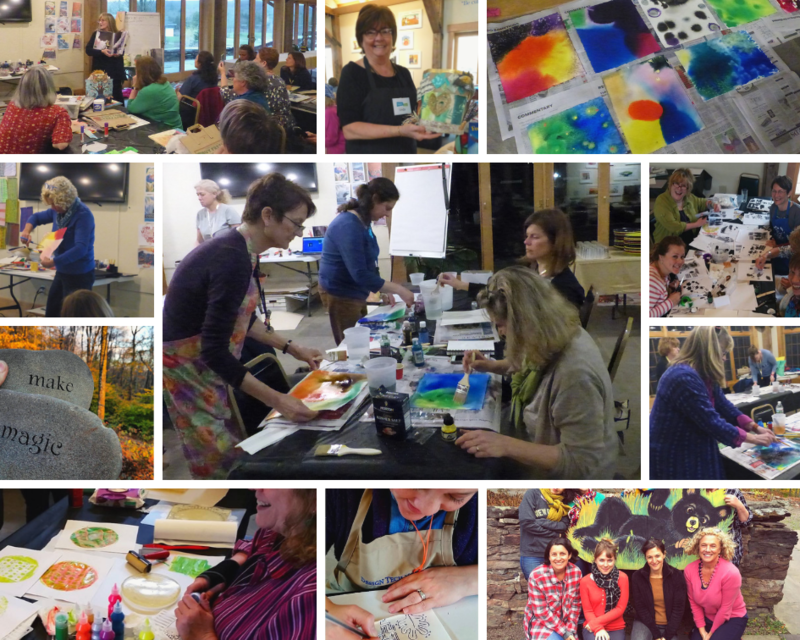 The retreat is open to EVERYONE–no art experience needed! As you can see from these photos, it truly is a weekend of inspiration and fun. Why don’t you join us this year (May 2-5) and open yourself up to a creative breakthrough?